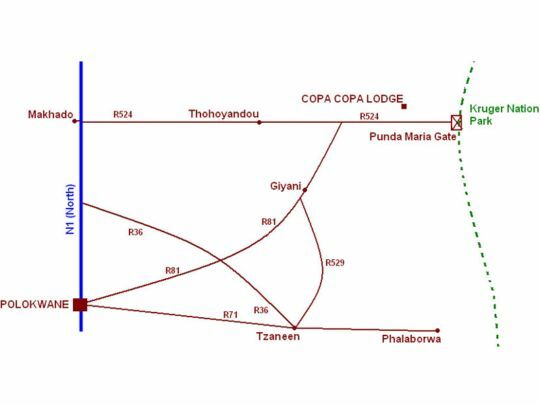 Copacopa Luxury Lodge and Conference Centre is a luxurious accommodation and conference facility at Lambani (15Km from Kruger National Park(KNP) Punda Maria gate). 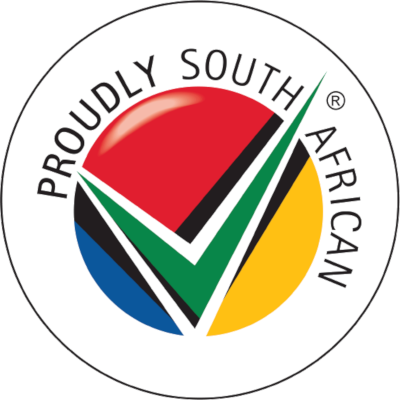 Thohoyandou and Malamulele, in the Vhembe district of Limpopo Province of the Republic of South Africa , are our nearest towns. We offer lodge, accommodation and conference facilities to government, institutional, corporate and tourist /leisure guests. Vhembe district of Limpopo is unique in its splendour and beauty. Limpopo incorporates endless expanses of undulating indigenous bush characterised by the remarkable form of the baobab, wonderful wildlife, a profusion of birds and many opportunities for adventure. With Kruger National Park Park (KNP) Punda Maria Gate at our doorstep, we arrange day and night game drives for our guests should they so wish. Boat rides in Nandoni dam and visits to Venda tourist attractions such as Lake Fundudzi , Phiphidi Waterfall, Thathe Vondo Sacred Forest , Tshatshingo Potholes and Thulamela Archaeological Site can also be arranged. Luvuvhu River is adjacent to us, very convenient for fishing enthusiasts. Accommodation in our chalets and cottage is underpinned by service "Beyond Expectations'' and excellent meals. Conference, workshop, product launch, weddings and similar events/functions are hosted in our world-class Conference centre. The immediate tranquil bush surrounding and picnic spots give our visitors a whole new meaning to tourism, lodging and conferencing. We had a very pleasant and comfortable stay at Copacopa Lodge.The food was delicious and the staff very helpful and friendly. The chalet was clean and the beds ultra comfortable. Phillip was helpful in confirming directions. We will definitely stay at Copacopa again if we visit the area. I highly recommend it to people travelling from Gauteng. I wish the team all the best. Upon arrival we were welcomed very pleasantly by the young receptionist, who was very helpful in facilitating our check in. She then very cheerfully showed us around the dining halls, conference centre, braai facilities and the games arena. We had booked a 2 bedroomed cottage for the weekend but to our amazement we were offered the 4 bedroomed cottage with a fully functional kitchen at no extra cost . The staff were very friendly and checked up on us from time to time to make sure that we were comfortable. The cottages are all fully furnished with air conditioning in each room as well as DSTV. The are other facilities like the swimming pool and kids playground with trampoline and jungle gym, etc is still in the process of being developed but our stay was very enjoyable. A big thank you to Philip and the staff for making our stay a very pleasant one. I enjoyed my weekend stay at CopaCopa, it was quiet and relaxing. I loved breakfast under the trees with friends and I loved hospitality and respectful staff members. My family enjoyed their stay at the lodge. Everything was well prepared.